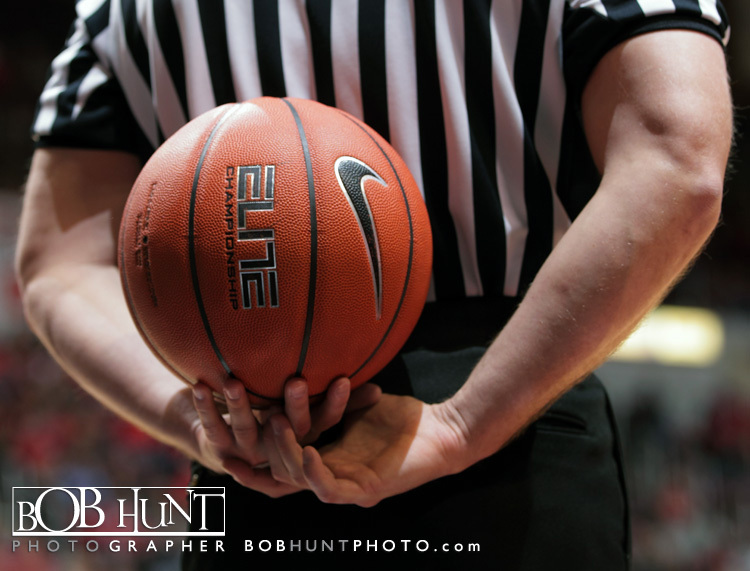 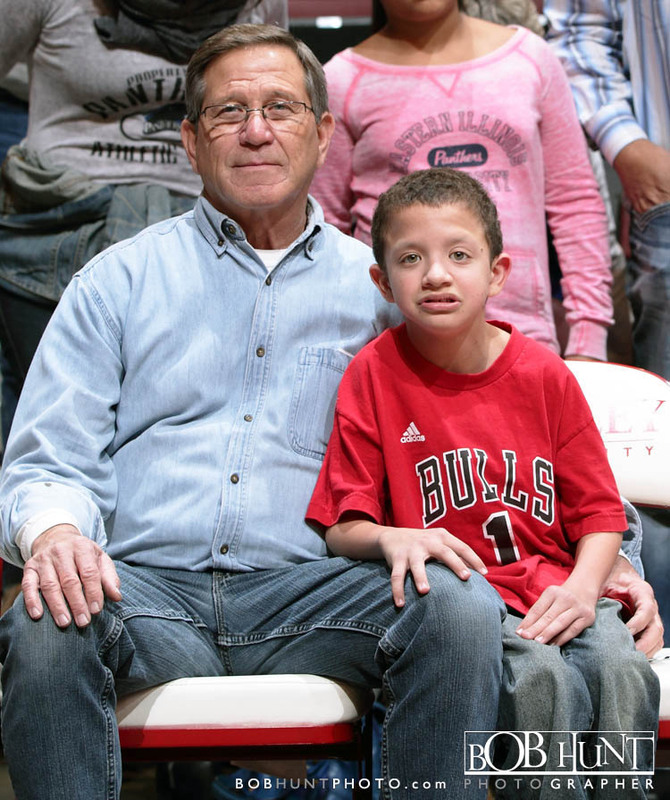 All photo’s from the Eastern Illinois vs UC-Davis basketball game on 11-20-2014 are posted on my FaceBook page at Bob Hunt Photographer. 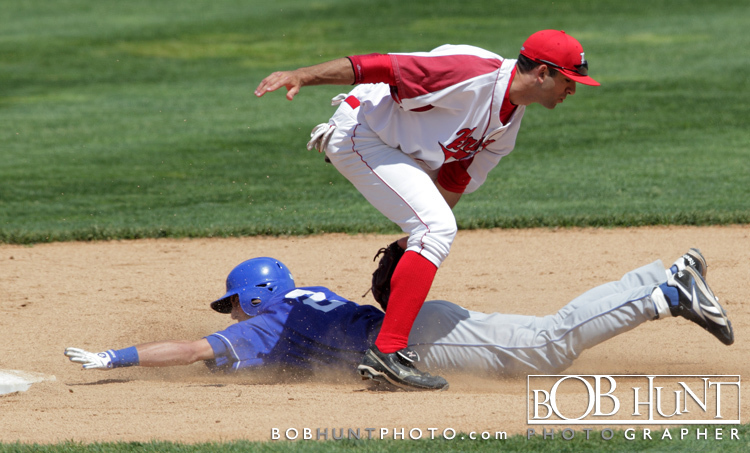 Check them out and like my page and feel free to post comments. 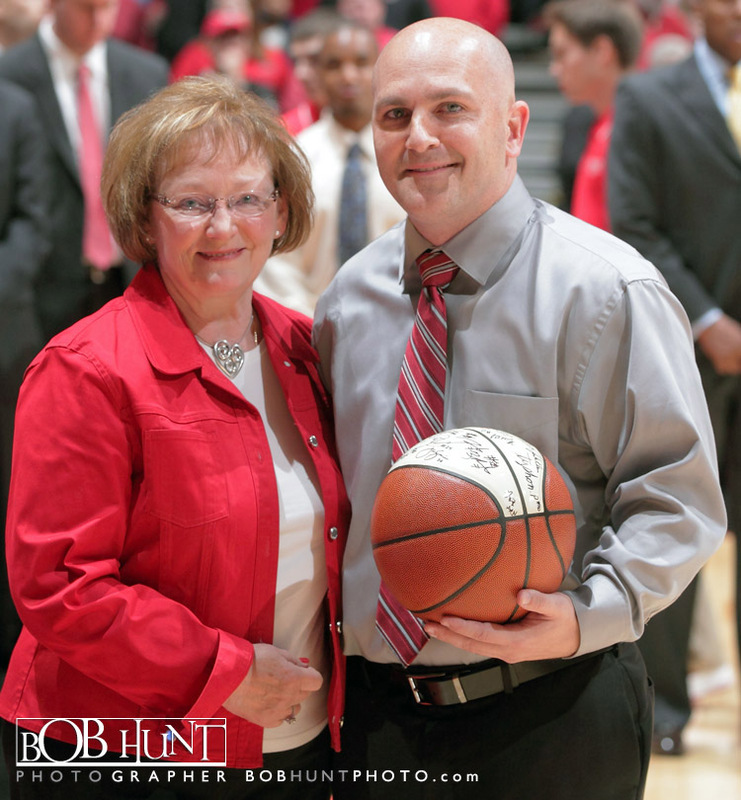 FYI Jim Les can still teach basketball and flat out coach. 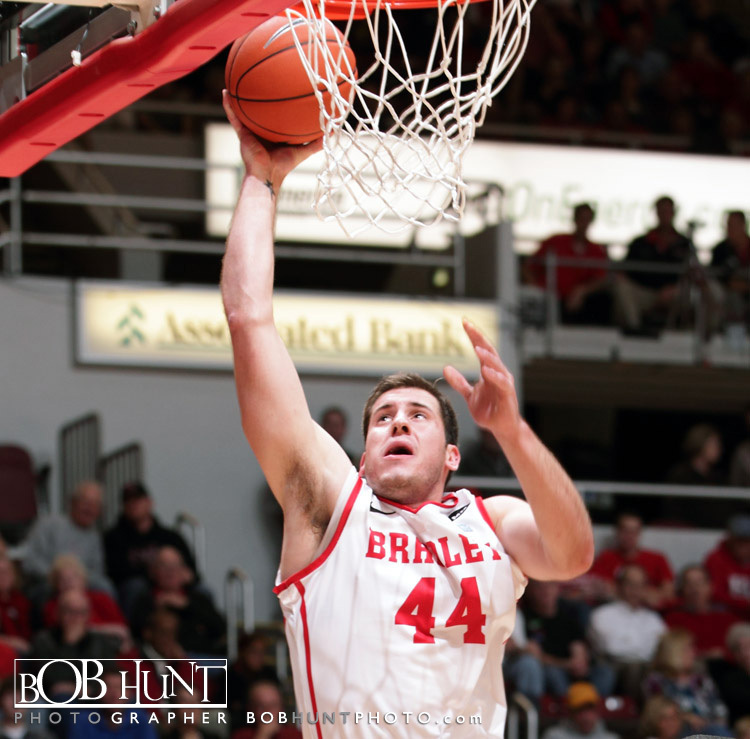 Bradley men’s basketball team opened its 109th basketball season with a decisive, 76-53 win against Eastern Illinois Friday night at Carver Arena. 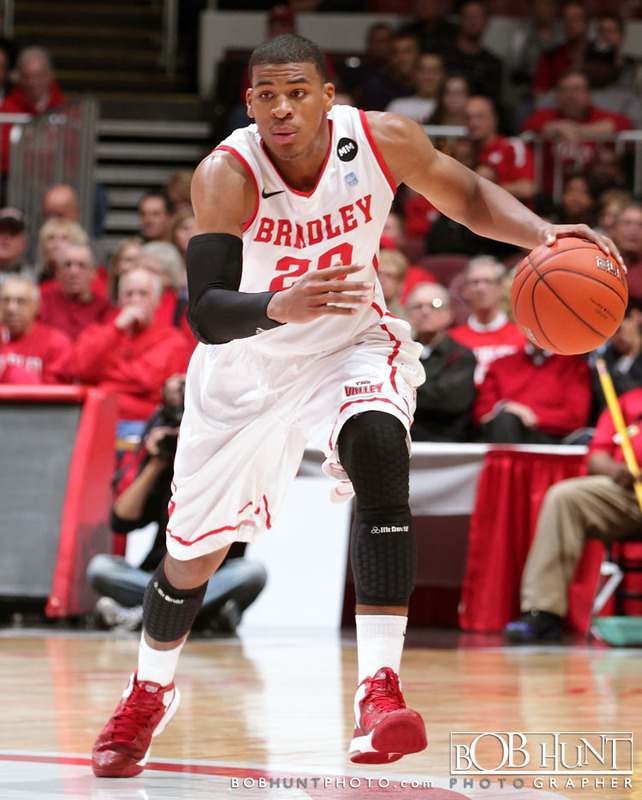 Junior forward Tyshon Pickett, a junior college transfer making his Bradley debut, led three Braves in double figures with a game-high 23 points and he shared game-high honors with eight rebounds. 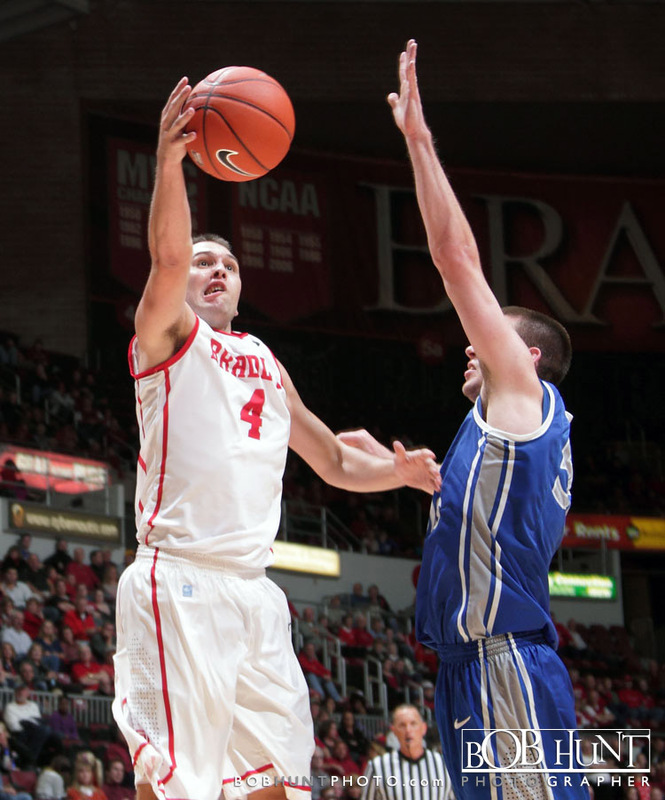 In his first game since 2010-11, sixth-year senior center Will Egolf added 11 points, as did senior guard Dyricus Simms-Edwards. 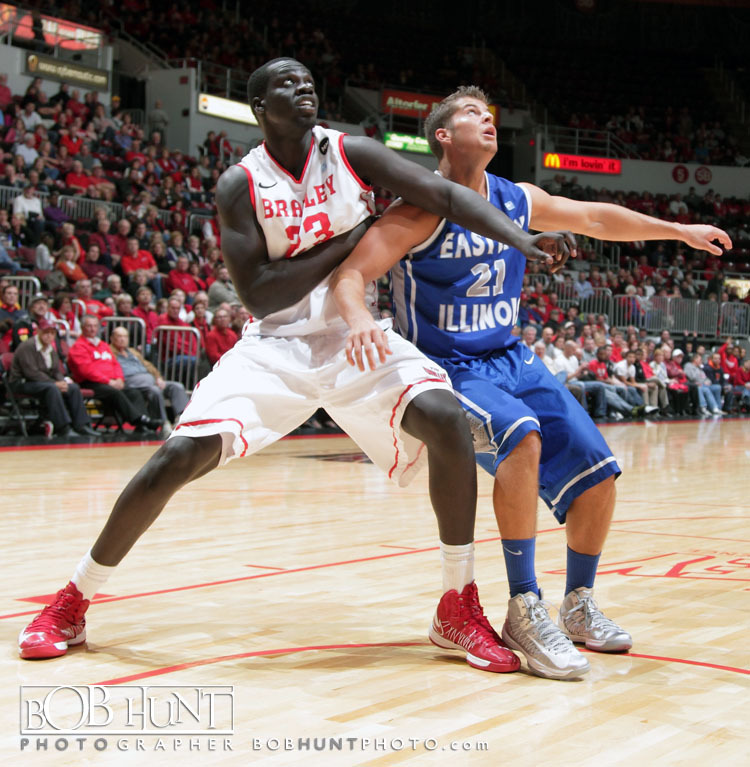 EIU sophomore Morris Woods paced the Panthers off the bench with 14 points and eight rebounds, while Alex Austin chipped in with 13 points. 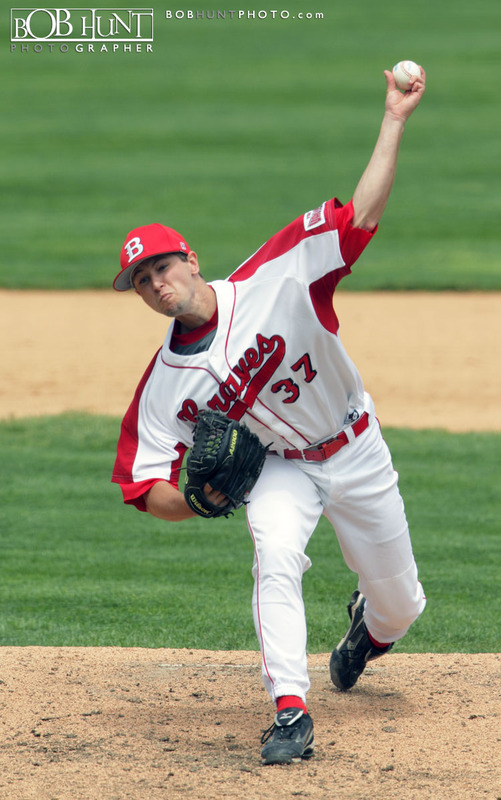 The Braves debuted new uniforms wearing a patch in memory of the late Bradley University Board of Trustees chairman, Mr. Michael McCord. 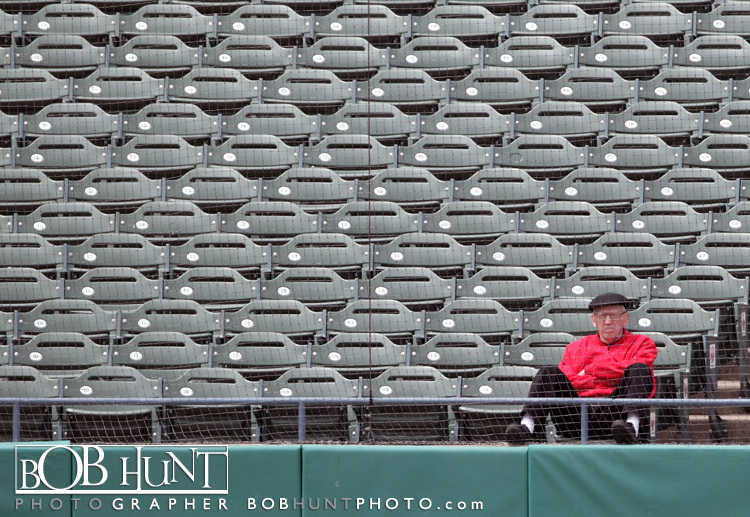 who passed away last month. 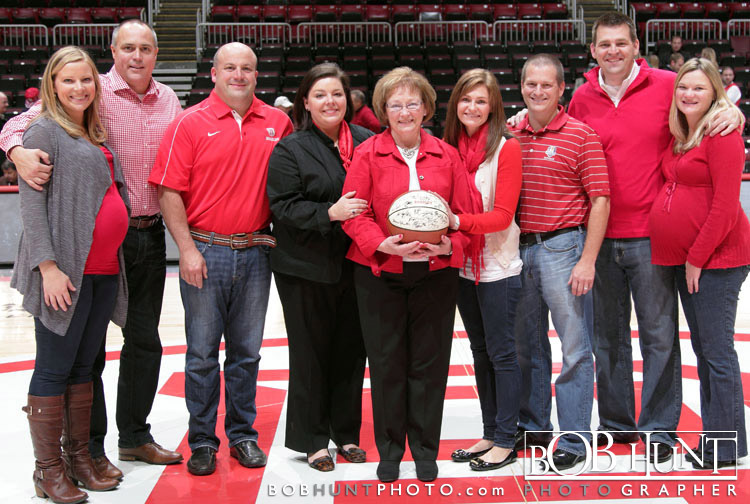 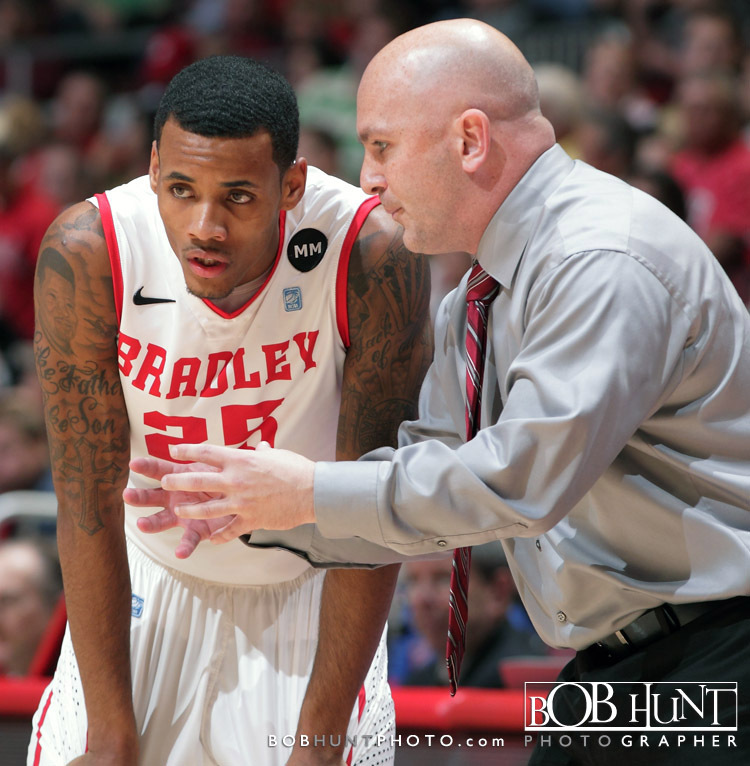 The patch, a black circle with the letters “MM,” is a tribute to McCord’s passionate service to Bradley University and his love for Bradley Basketball. 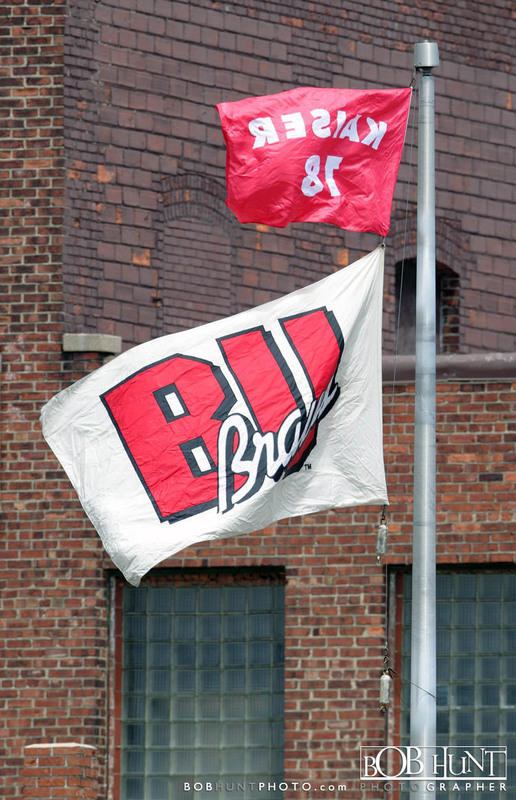 The Braves return to Renaissance Coliseum to play Texas-Pan American Monday night at 7 p.m. Click Here for More Game Photo’s. 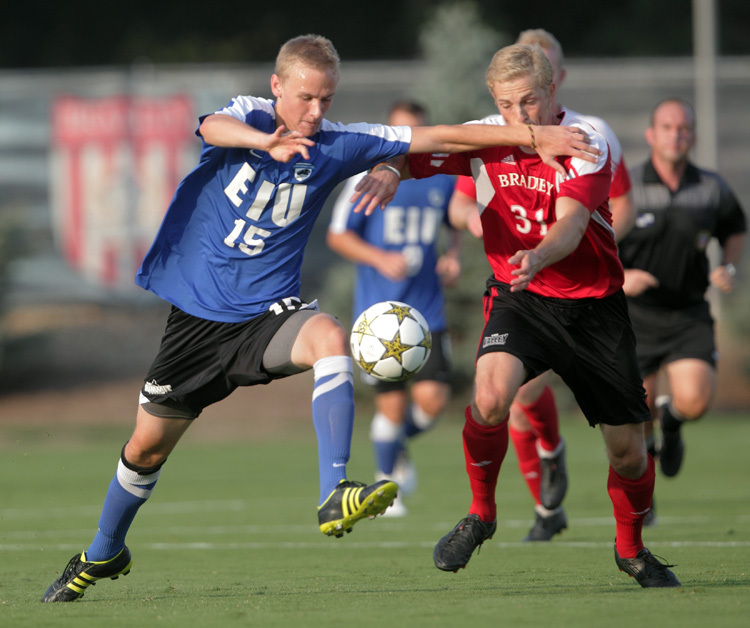 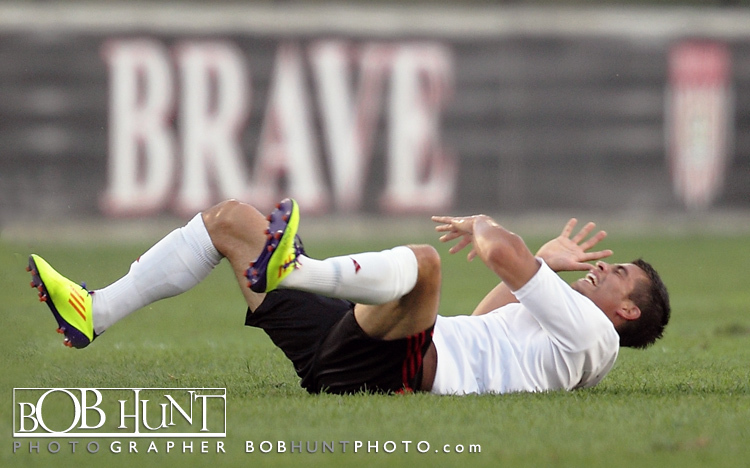 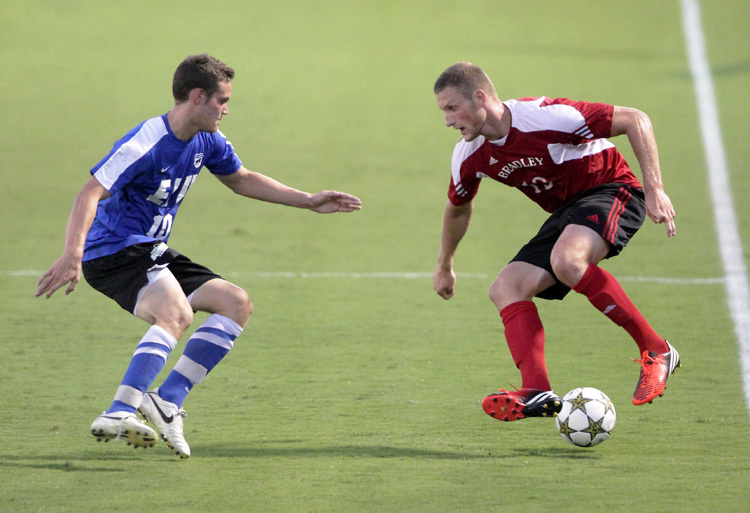 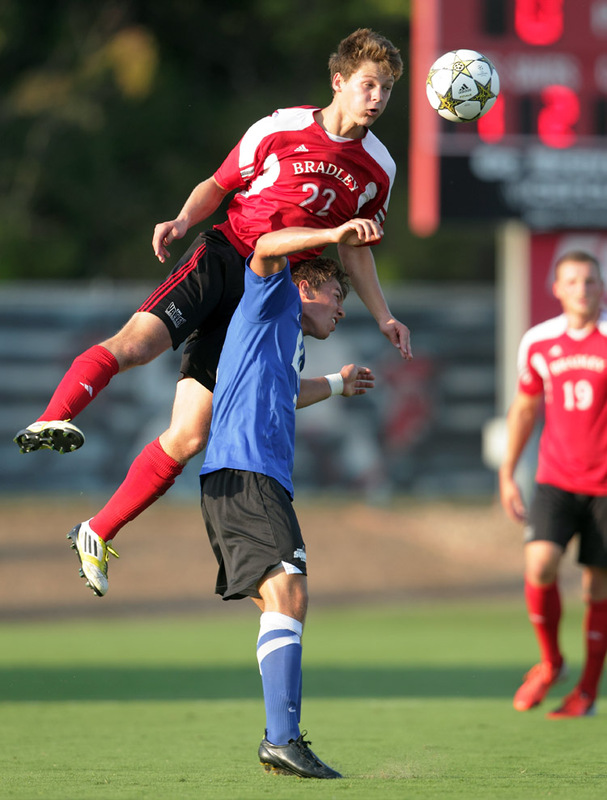 Bradley University senior forward Jochen Graf netted a pair of goals, lifting the 25th-ranked Braves (1-0-0) to a 2-0 victory against Eastern Illinois (0-1-0) in the season-opener for both teams Friday night at Shea Stadium. 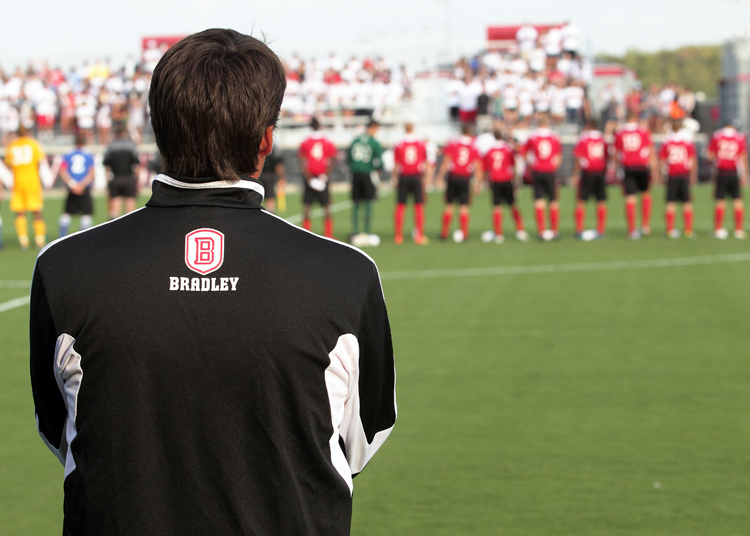 Sparked by Graf’s first career multi-goal game, Bradley won its 11th consecutive season-opener and improved to 6-0-0 all-time at Shea Stadium against the Panthers. 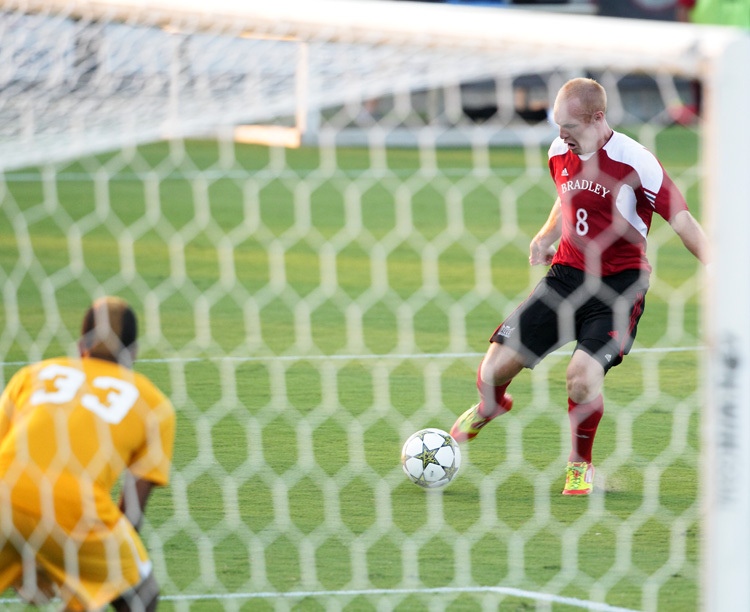 The visitors looked intent on changing that history early on, outshooting the Braves 5-0 in the opening 12 minutes. 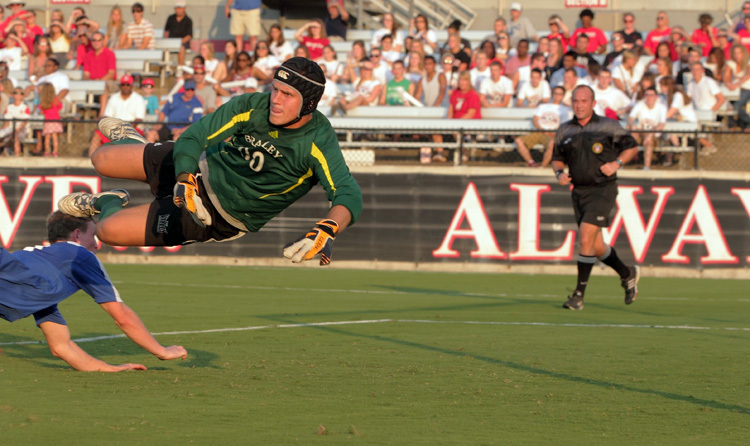 Junior goalkeeper Brian Billings saved two of those first five shots, then needed to make just one more second-half save to record his 10th career shutout. 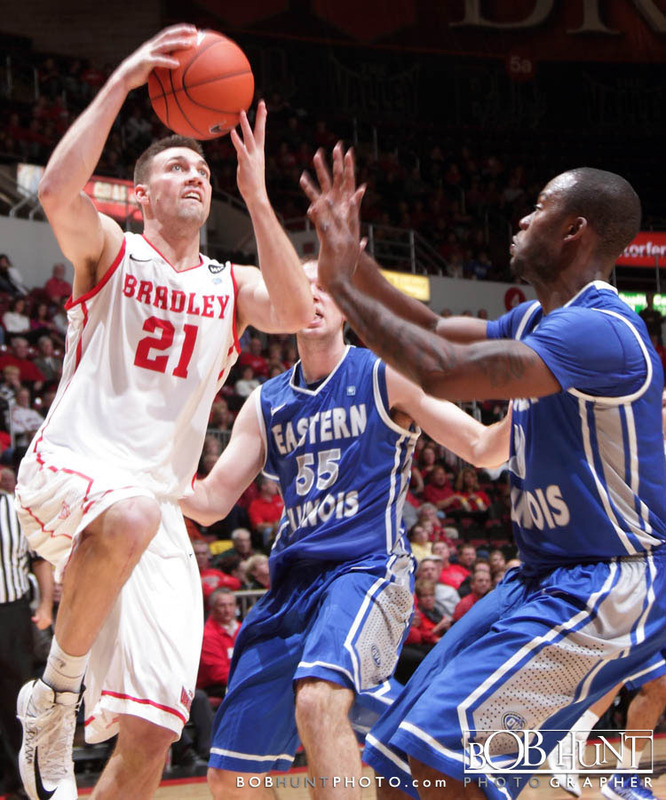 After withstanding EIU’s early pressure, Bradley took to the offensive and rattled off the game’s next five shots. 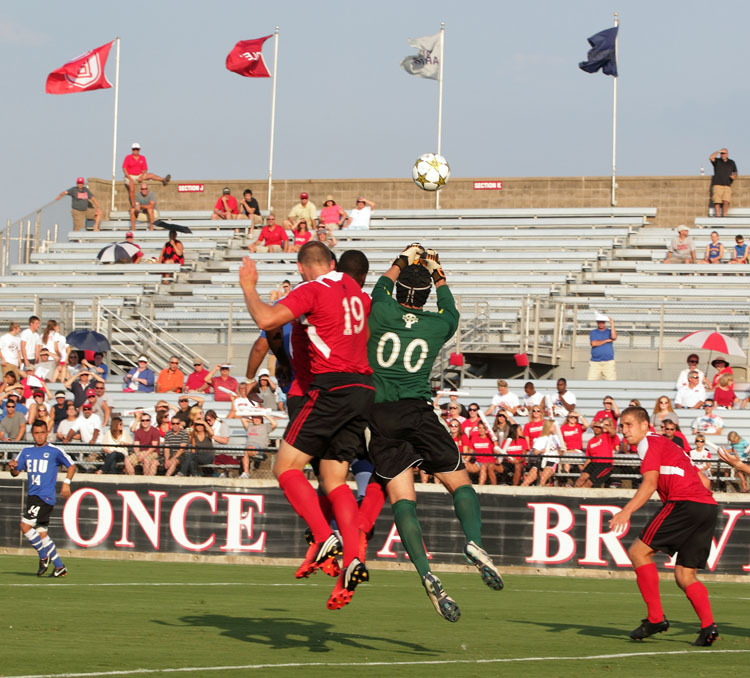 Graf broke through in the 32nd minute, when he executed a give-and-go with junior forward Wojciech Wojcik, rifling a low laser from the top of the 18 into the back of the net. 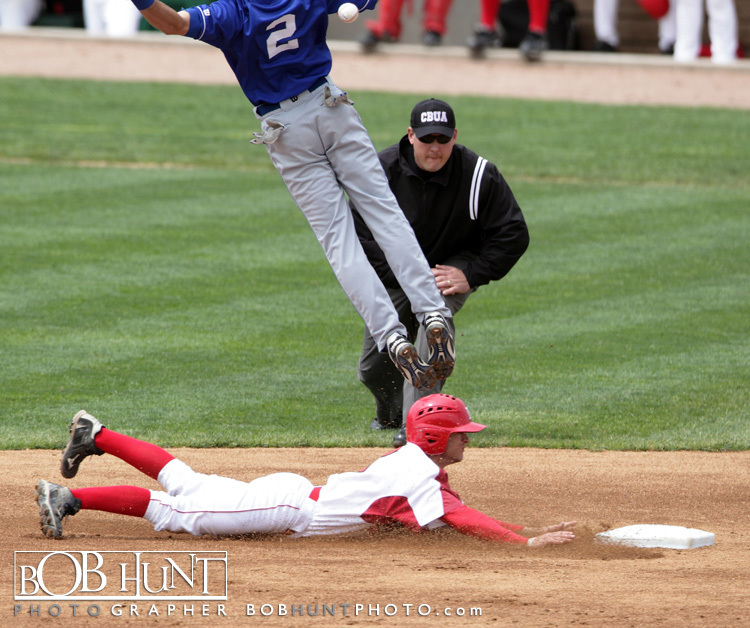 Click here to view images to purchase. 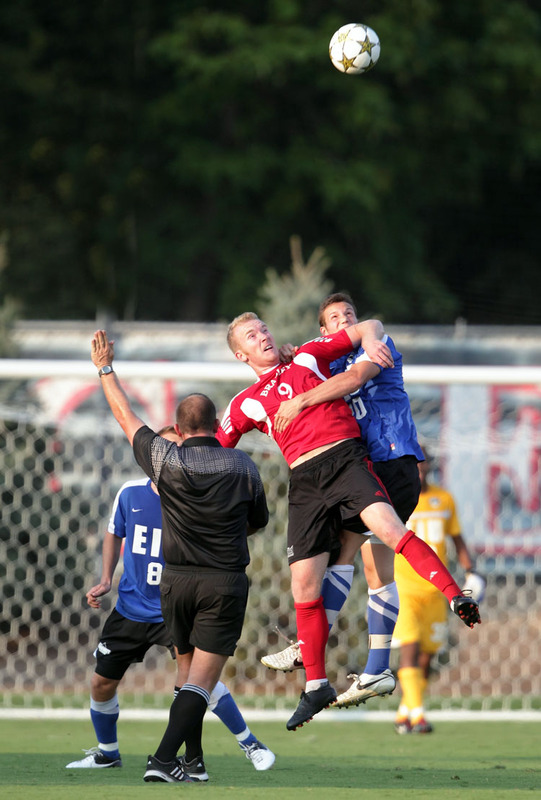 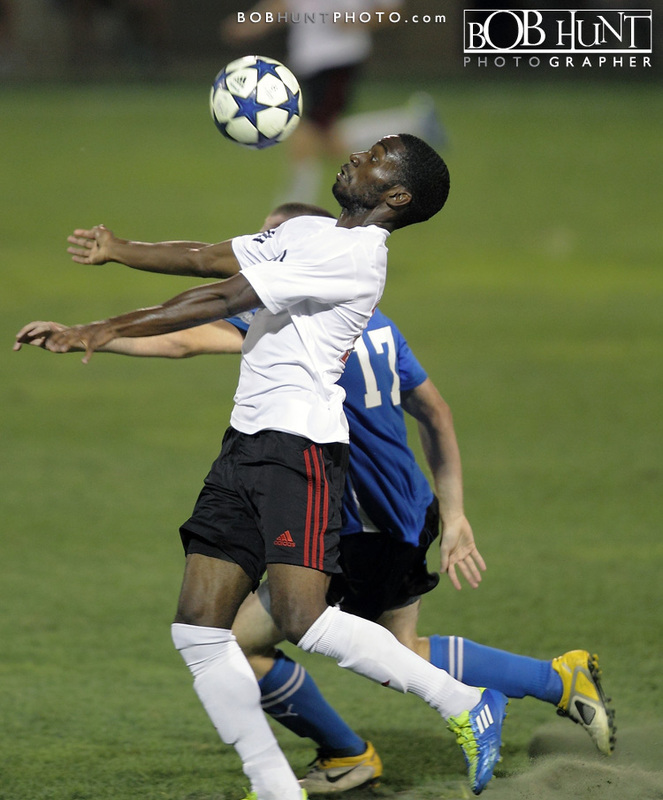 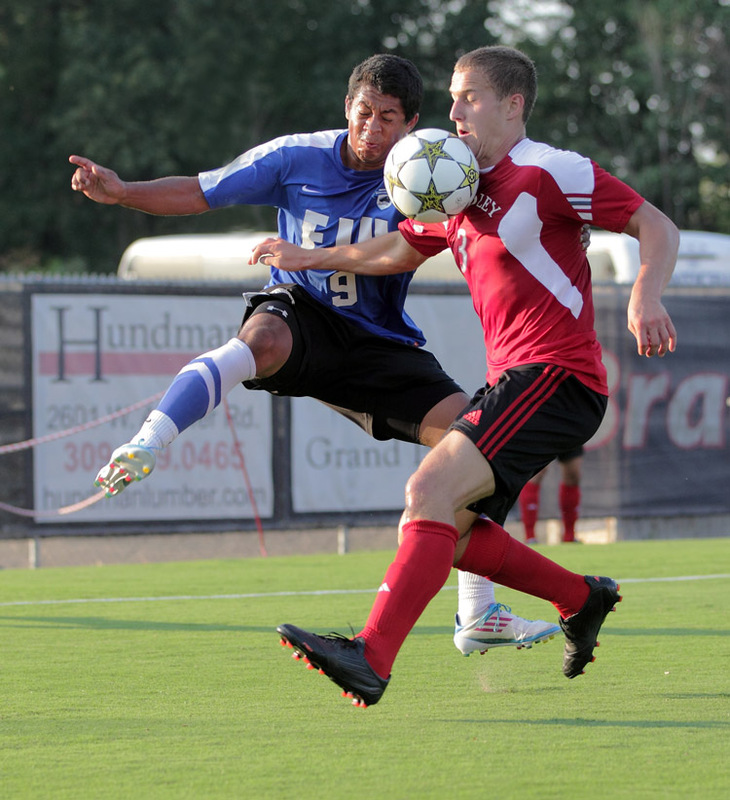 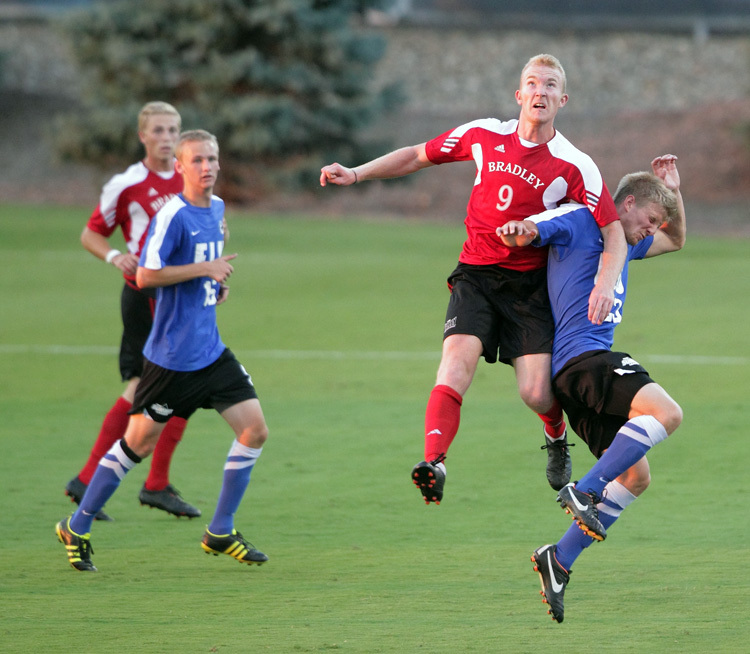 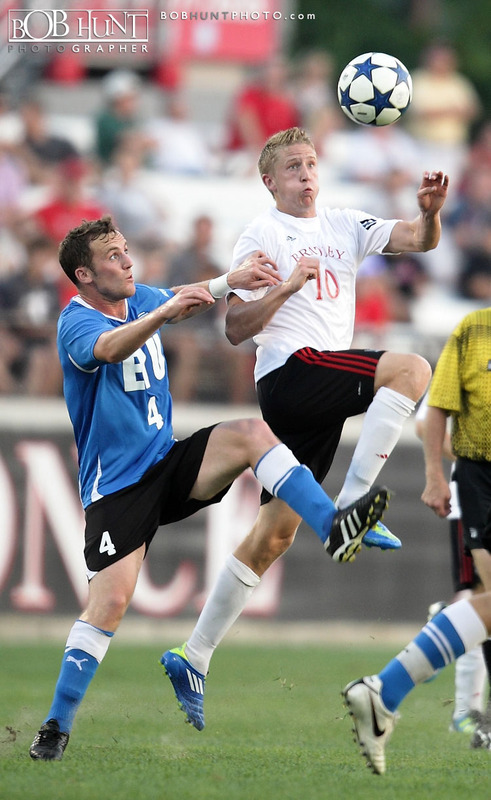 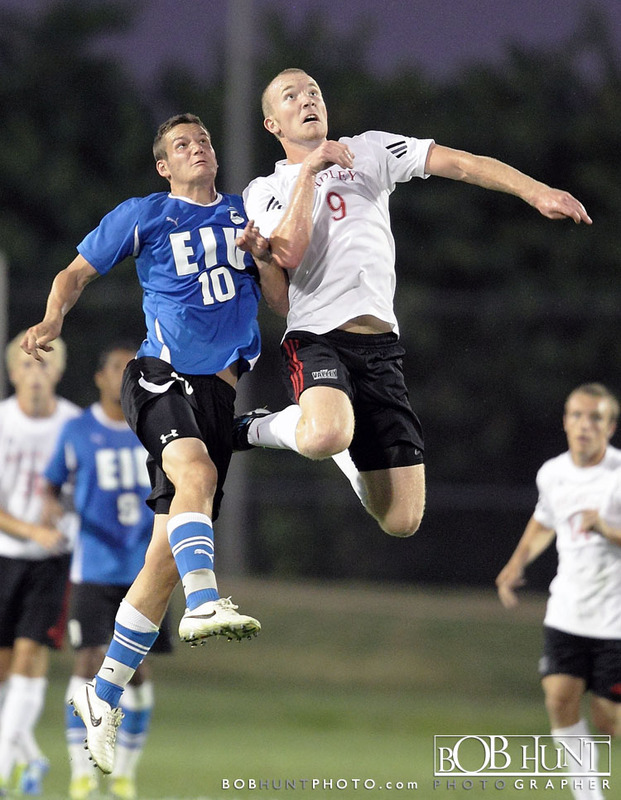 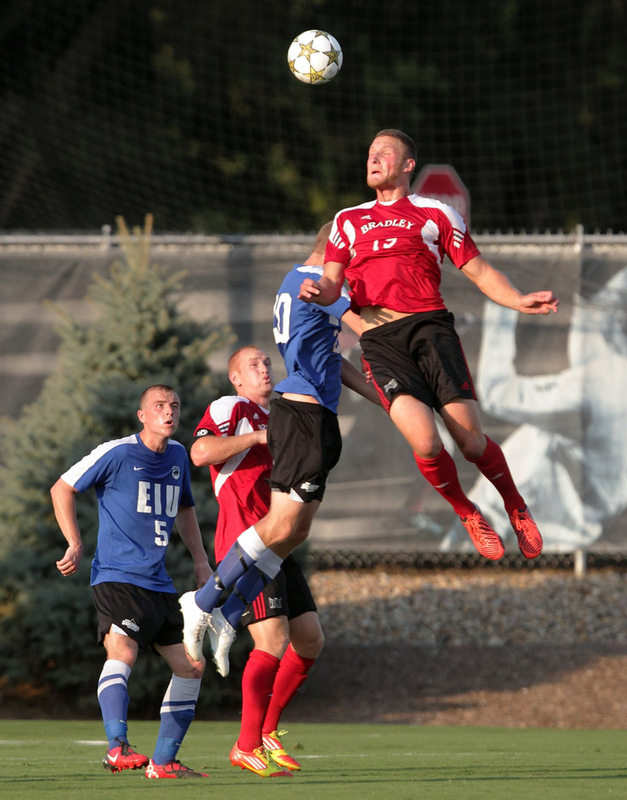 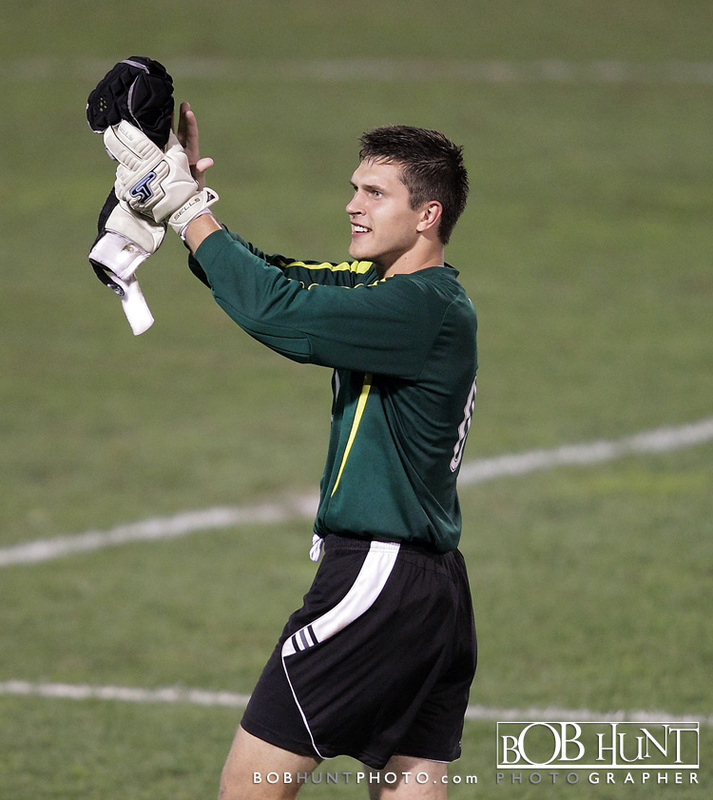 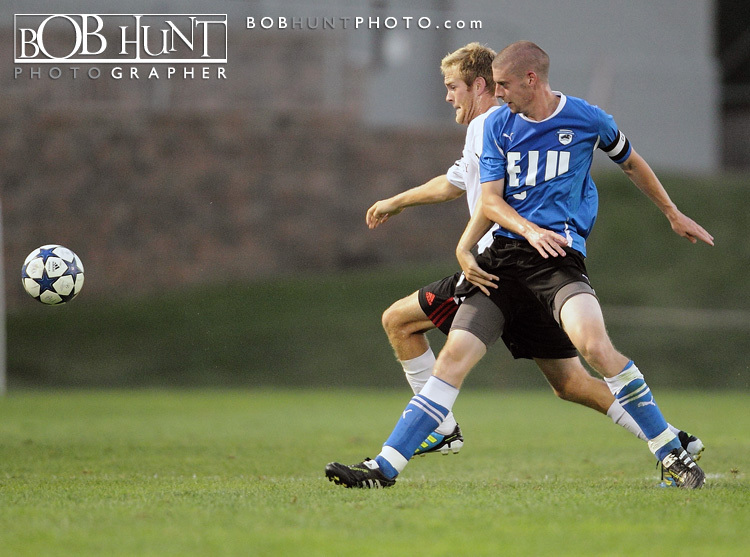 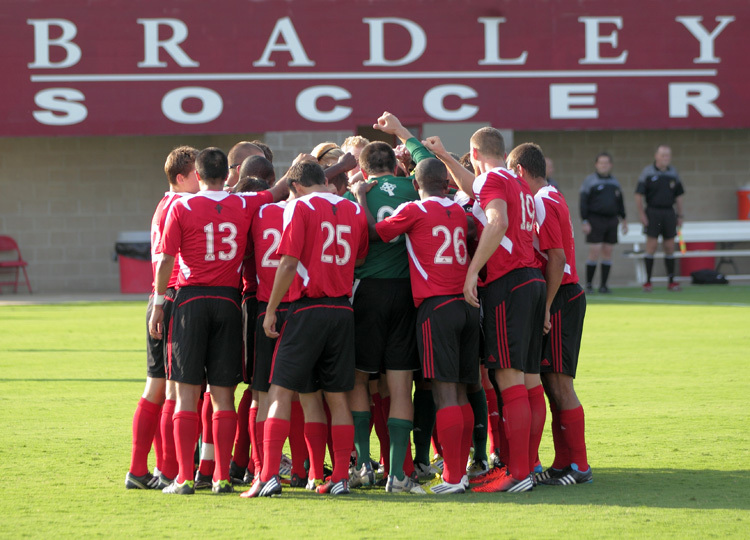 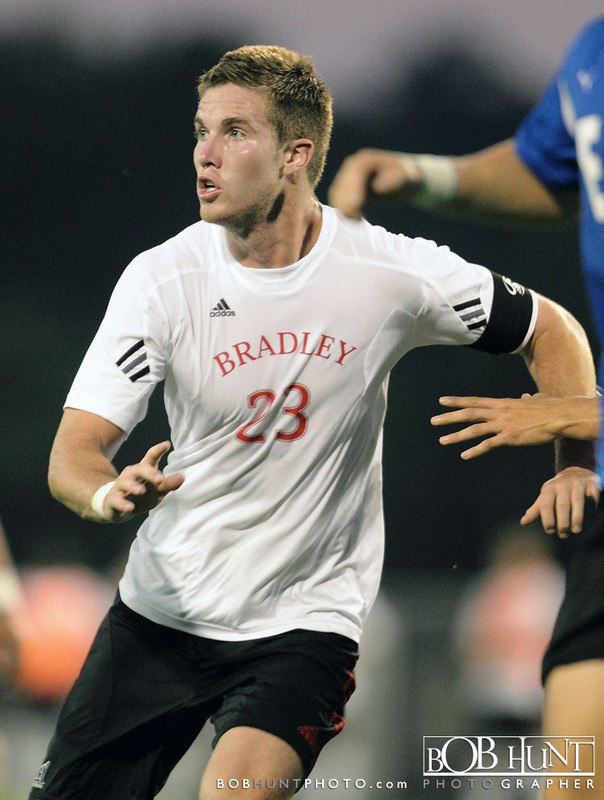 Three is certainly the charm for Bryan Gaul and the Bradley men’s soccer team. 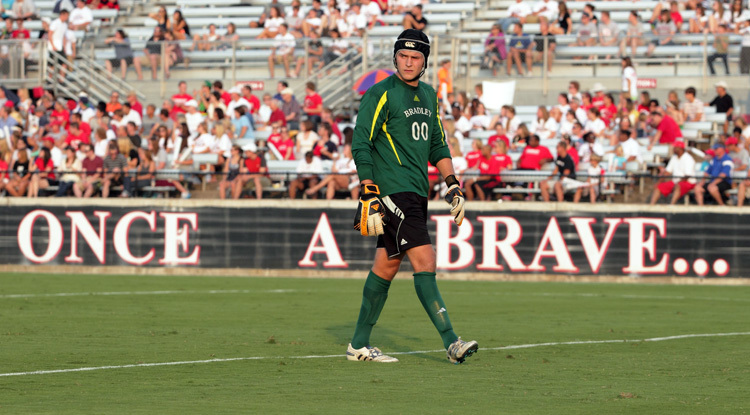 The MAC Hermann Trophy candidate scored in the 95th minute for his third game-winner in as many games, leading the host Braves to their first 3-0 start since 2000 with a 2-1 victory against in-state rival Eastern Illinois (1-1-0) Thursday night at Shea Stadium. 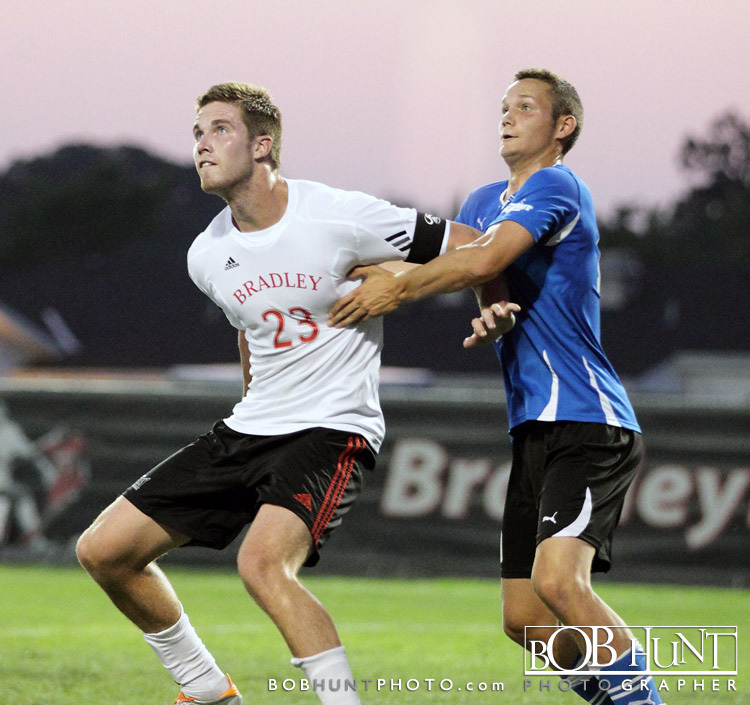 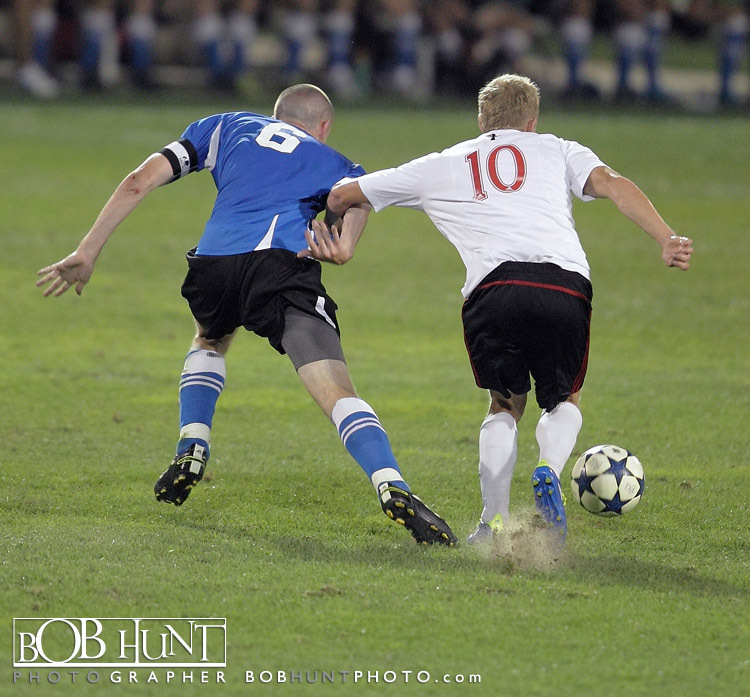 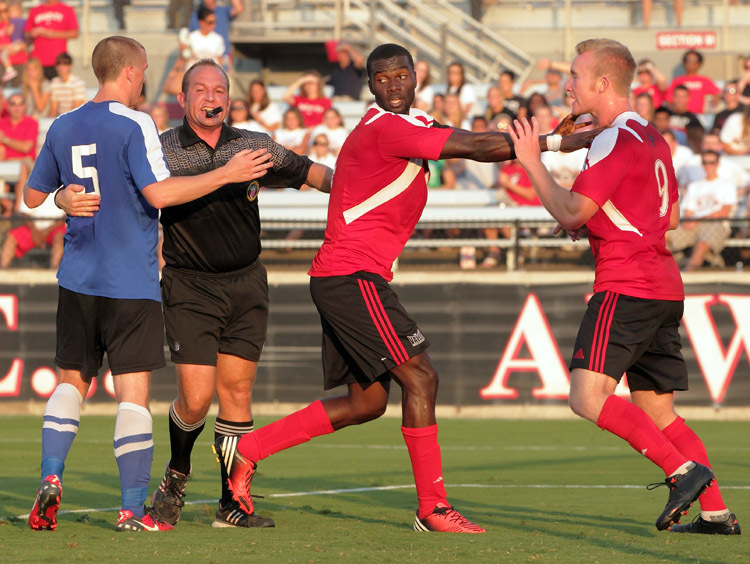 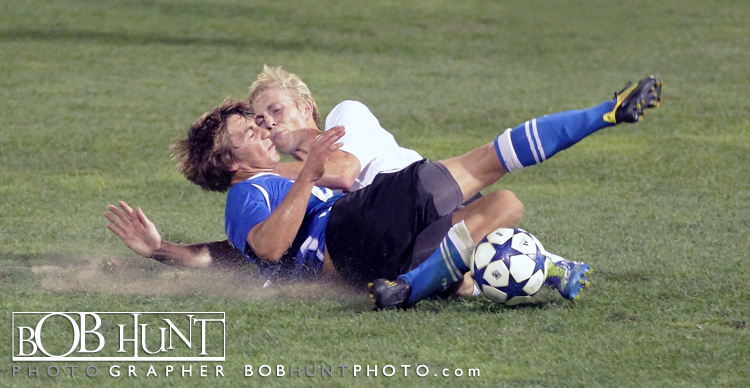 Taking advantage of a deflection that kept his midfield run alive, Bradley defender Mike Hnat made a bold rush deep into the right side of the Panthers penalty area and centered to Gaul on the 6-yard box. 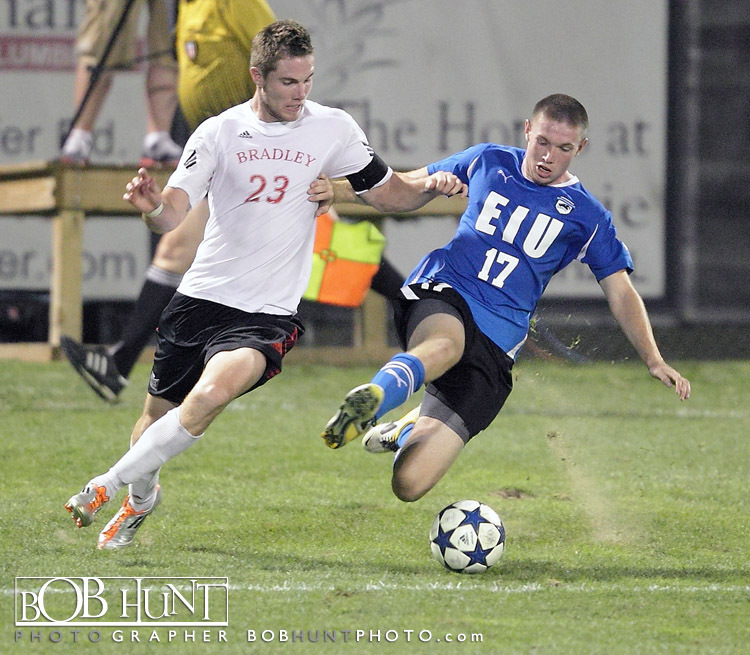 The Bradley forward needed several touches, but his persistence paid off and he finally beat EIU keeper Evan Turner with a flick inside the right post for the winner at 94:50. 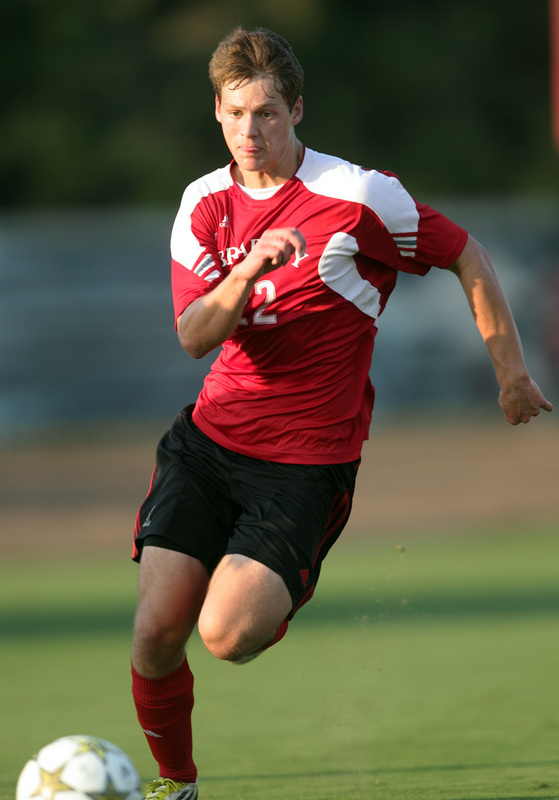 The reigning men’s college soccer national player of the week, Gaul also scored the game-winning goals last week at Butler and IPFW and pushed his season total to nine points on four goals and and an assist. 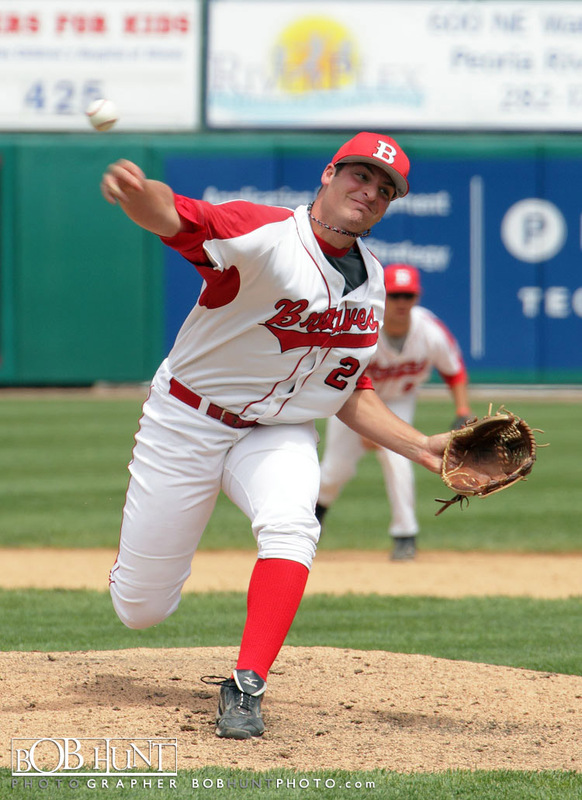 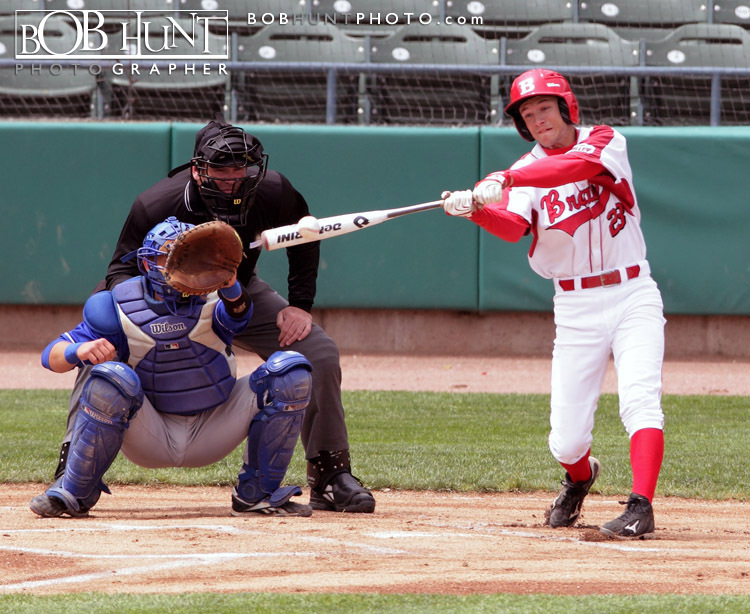 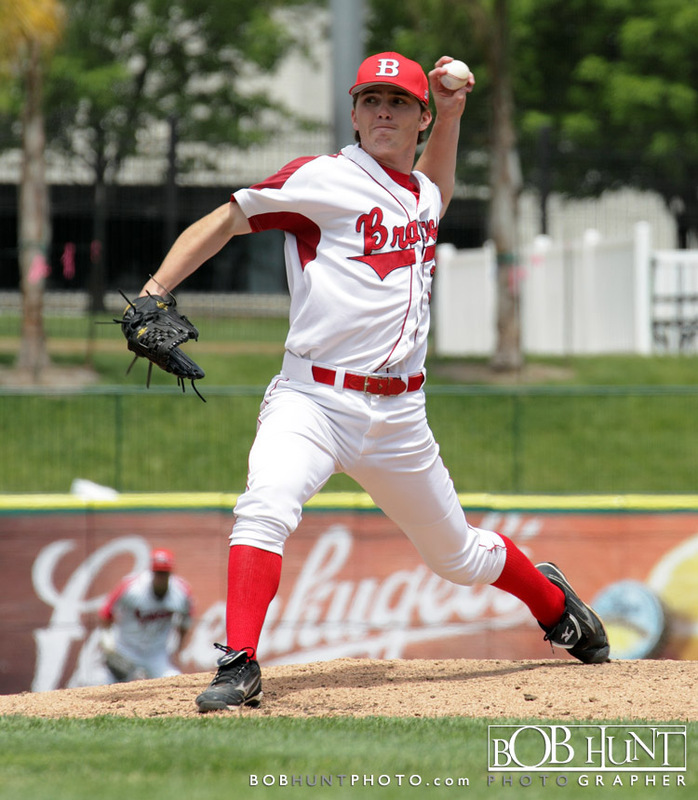 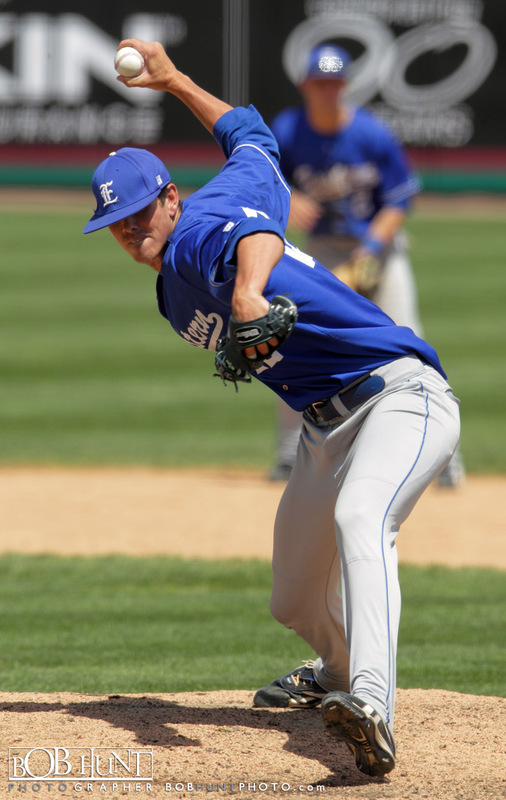 In a 12-man pitching dual, Eastern Illinois (18-30) withstood three late-inning scoring opportunities by Bradley (22-27) to earn a 3-2 win in the non-conference finale for both teams Tuesday afternoon at O’Brien Field. 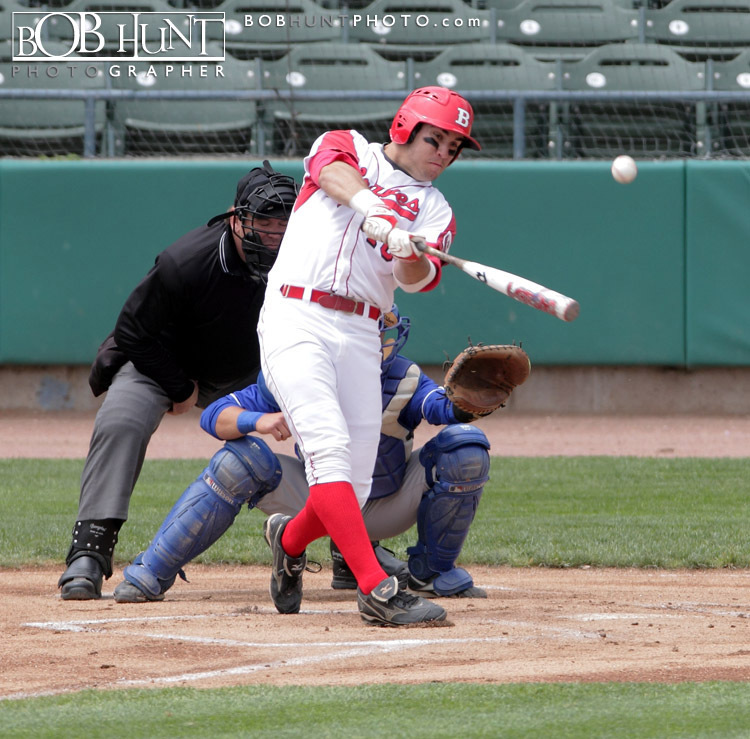 After Bradley jumped out to a quick start by scoring in the first inning, the Panthers pushed across single runs in the fourth, fifth and sixth innings, then worked out of trouble in each of the last four innings to hold on for the win. 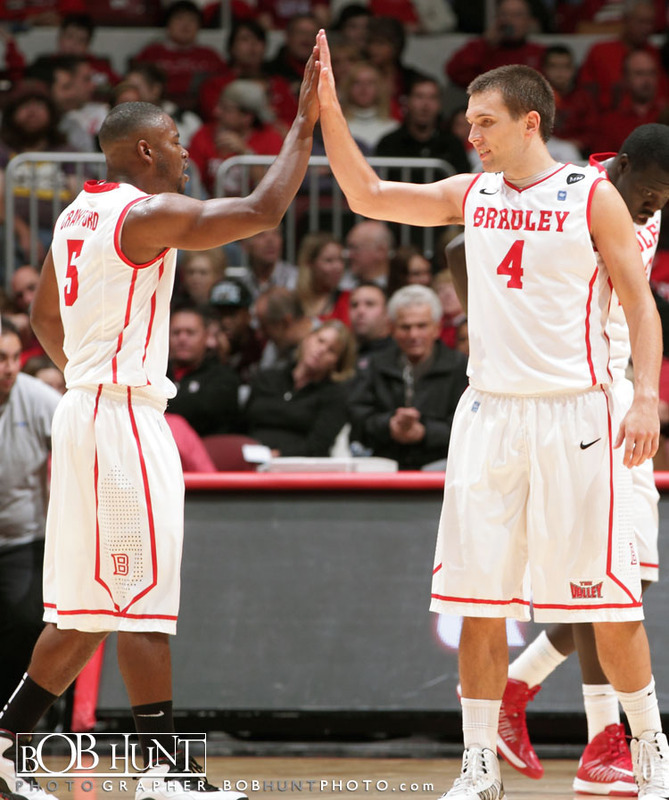 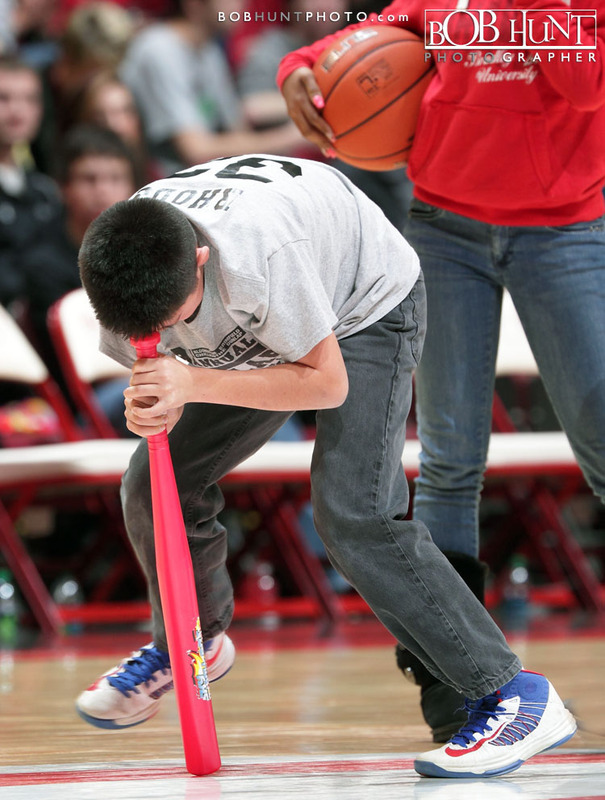 Bradley has lost four straight, including three by one run.